I wrote a children's book with my daughter! 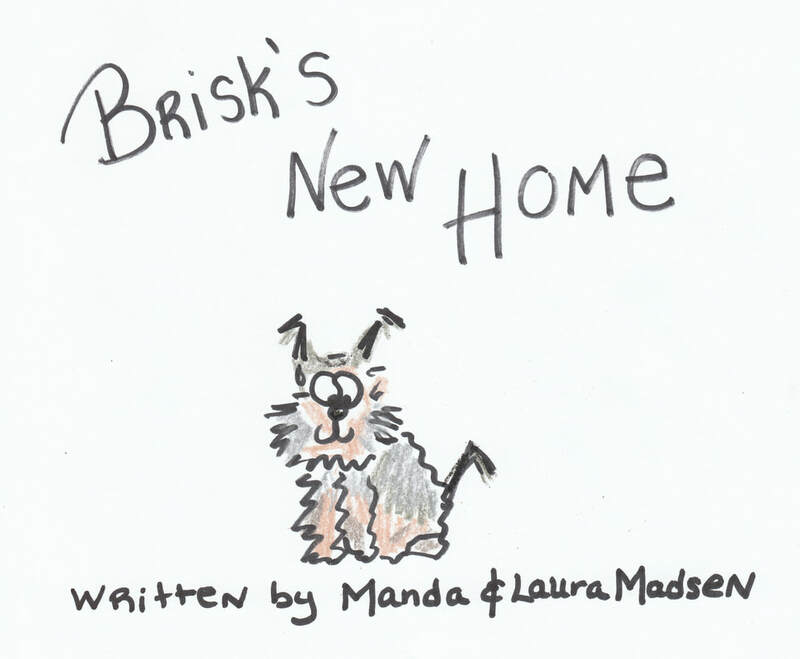 It's called BRISK'S NEW HOME. It's based on the true story of how we adopted our Yorkshire Terrier, Brisk: A momma Yorkie sneaks out to find a good home for her little puppy. Find out what happens on her adventure, and if she succeeds in finding a forever home for her baby boy. Custom TheLadyinRedBlog t-shirts are soooo soft and comfy. These are not your ordinary t-shirts. They are so comfortable you will wonder why all t-shirts aren't made like this! Available in S, M, L, and XL. They run large! So don't order them too big! To see how the t-shirts fit around the world, check it out here. Some mornings you just need coffee - and who says you can't spike it! :) It's 5 o'clock somewhere - even if that means 5am! Wake up with this limited edition TheLadyinRed coffee mug! Cheers! 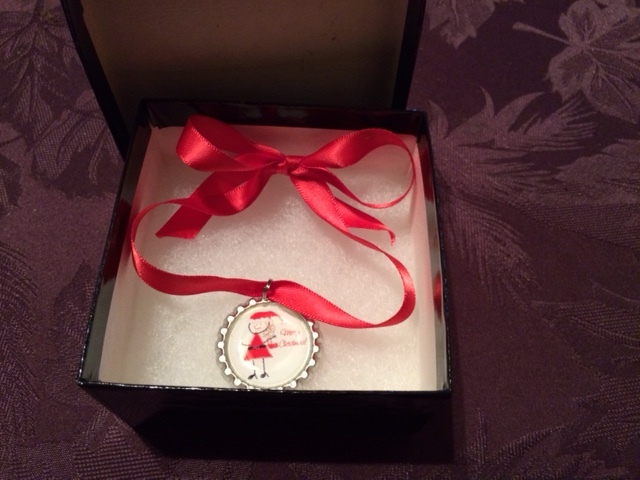 TheLadyinRed Christmas ornaments come in 3 different designs. 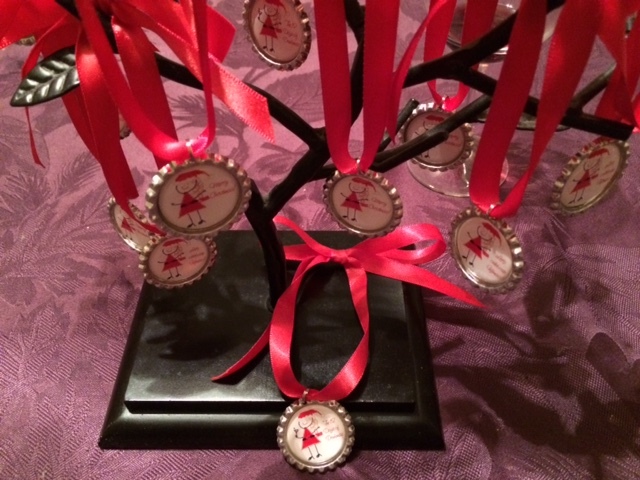 Each one is adorned with a beautiful red ribbon for hanging on your tree. Choose from one of three different designs! 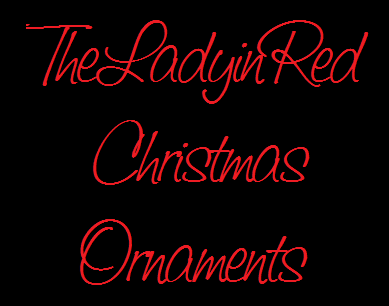 TheLadyinRed ornaments come in 3 different styles. 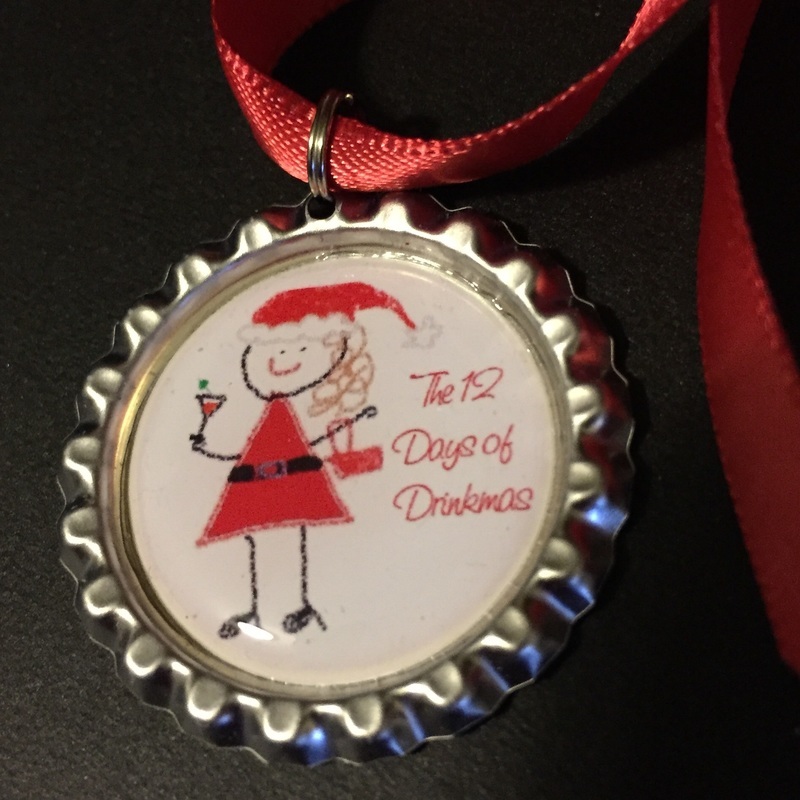 Instead of the 12 Days of Christmas, this one celebrates "The 12 Days of Drinkmas!" "Merry Christmas!" is one of the timelessly perfect ornament messages! "Let's celebrate Giftmas!" 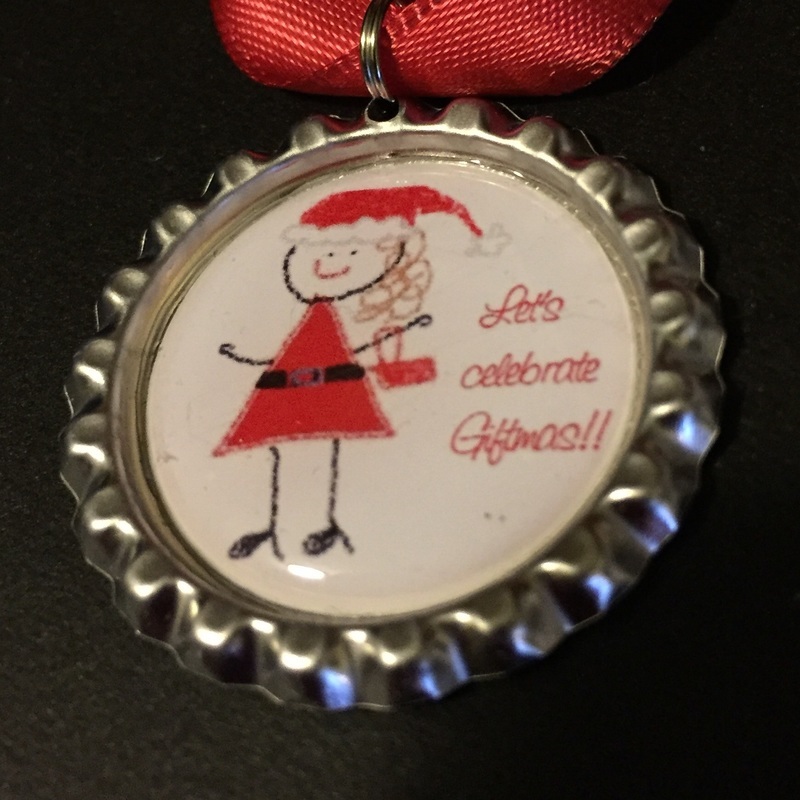 is the saying on this dangling design, in the spirit of giving our greatest gifts to others! Custom blended in conjunction with TheNecessiTeas to mimic TheLadyinRed's ever popular RED Sangria Recipe, this tea blend is the embodiment of sweet, red sangria, bursting with real blackberries, red berries, and a hint of sunkissed oranges. It's a fruity, light red upon brewing. Indulge without the alcohol - no proof of age required! All charm sets are subtly accessorized with beads and baubles. 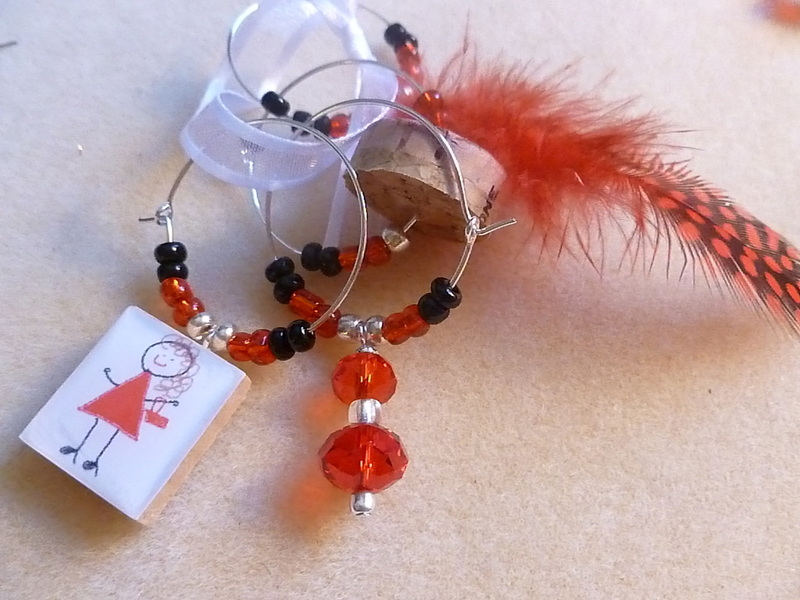 Each set of wine glass charms is RED-themed and comes with 1-2 TheLadyinRed graphic charms. This is the ultimate RED hot wine glass bling. TheLadyinRed loves a good glass of wine with dinner, so what better way to decorate your drink than with this original wine charm set collaboration from TheLadyinRedBlog.com and Take Things Personally. 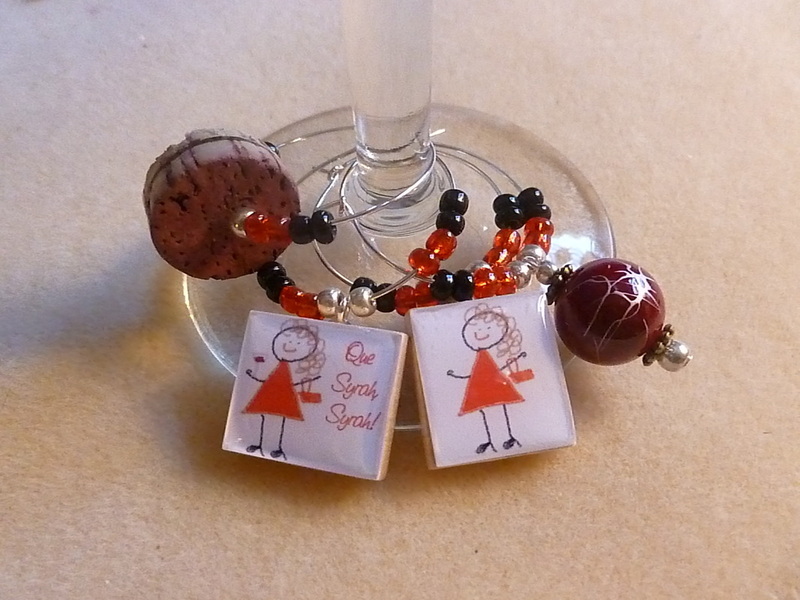 These red-themed wine glass charms come 4 to a set, including 1-2 with original TheLadyinRed graphics. 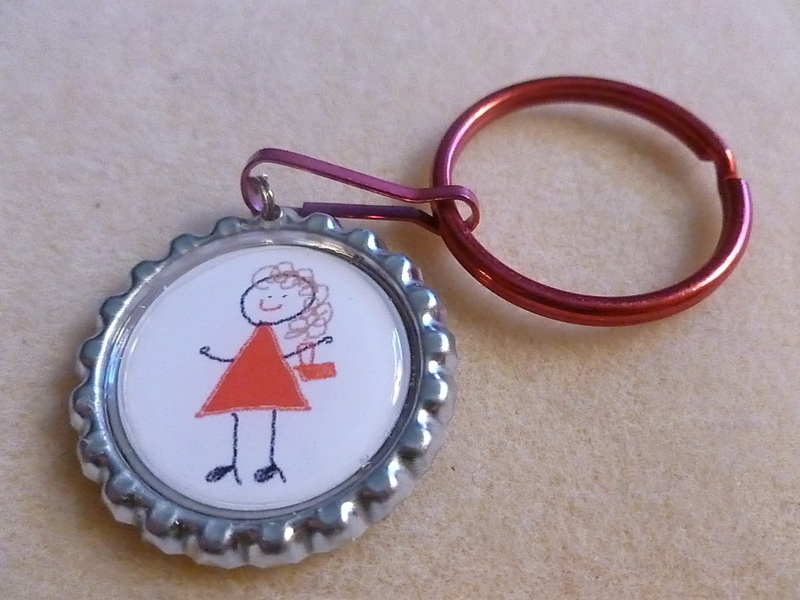 1-2 wine charms in every set are customized with random TheLadyinRed sayings, such as: "I need a red hot drink! ", "Que Syrah, Syrah! ", or a blank version with just the cute girl dressed in red. The graphics charms you receive are random, but all are RED hot. So keep track of your toasts at a party, barbecue, or cocktail hour by marking your glasses in a classy way. The world's 1st limited edition eye shadow set named after drinks! Cheers! Originally a trio of eye shadows was offered, but only the most popular limited edition color "Champagne on the Beach" has been renewed for a second run by popular demand! It has zero "bad stuff" - like bismuth oxychloride or parabens. And the manufacturing company, Salty Cosmetics, does absolutely NO ANIMAL TESTING! All of their formulations are silky, smooth, and highly pigmented. The color lasts all day, is easily blendable, and won't fade. Savannah Van of the band SVB is lovin' Champagne on the Beach! 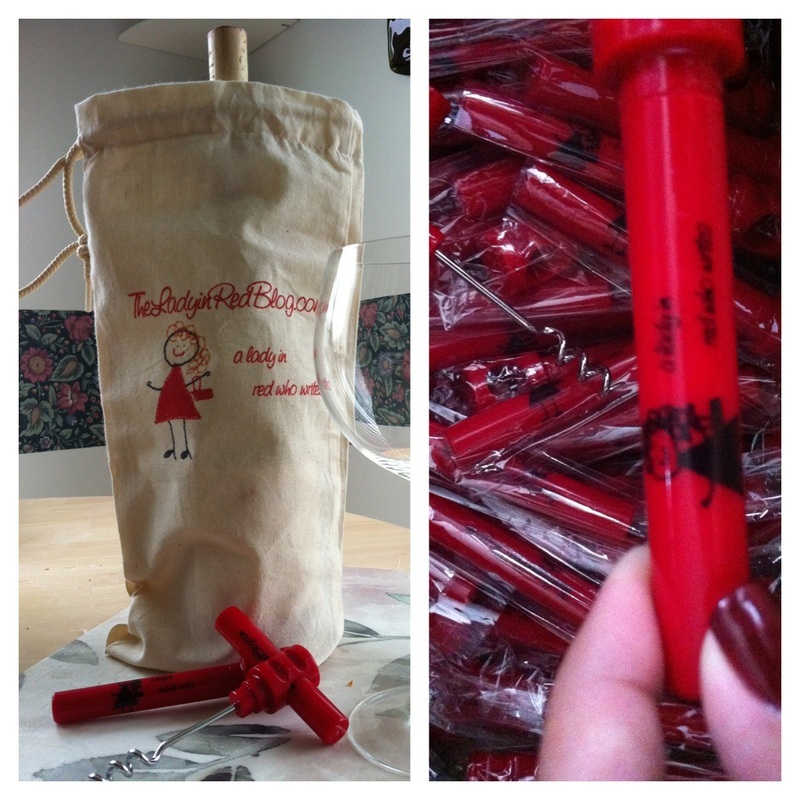 TheLadyinRed LOVES wine - so what better way to open a bottle than with this RED hot signature corkscrew! These are portable for your purse or pocket - so you can always have one on hand when you visit your favorite BYOB restaurant, the beach, a bbq, or any bash! Every gal needs some bag bling. 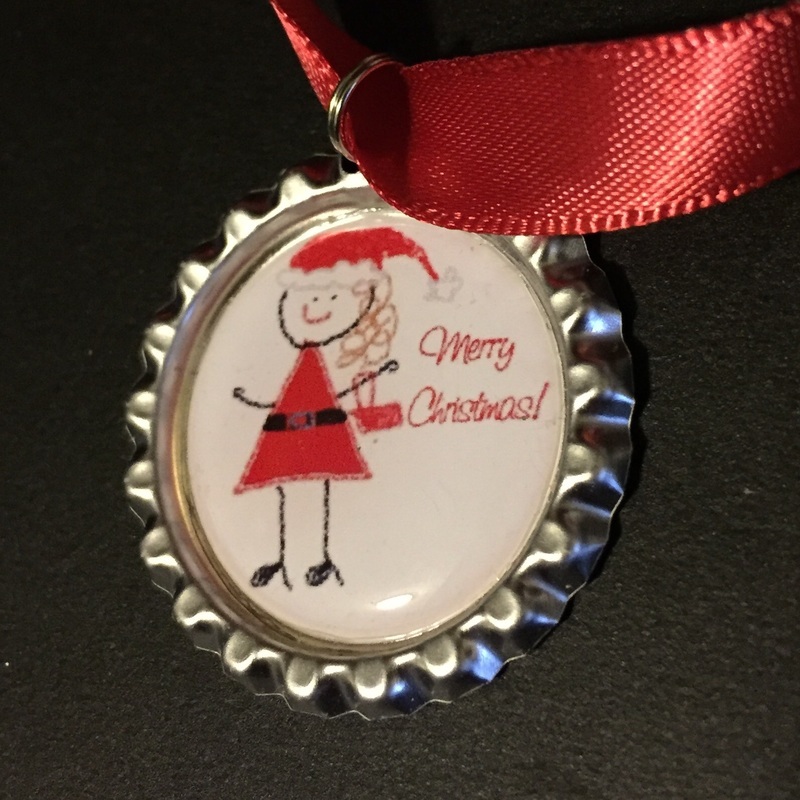 Want something chic created from a smoothed out bottle cap by Take Things Personally, and sporting the cutest little girl in red logo around? She'll look great right along side your Coach charms, or your Michael Kors (MK) bag bling. Clip it on your belt loop for a cute fashion effect. Everyone will want to know where you got it! Well, tell them right here, in the RED Hot Store at TheLadyinRedBlog.com! You can't get them ANYWHERE else.